The Third Man is not only one of the most famous films, it is also set in postwar Vienna. We meet in the foyer of the cinema at 3:45 p.m. to buy tickets, after the film we can discuss the film at a café. 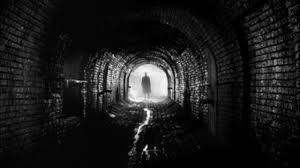 On Tuesday, May 7th, we will see the film together, on Saturday, May 11th, visit the Third Man Museum in Vienna's 4th district and on Thursday, May 16th, explore Vienna's sewage system. Let's be Harry Lime for a few hours and discover a part of Vienna that we have not seen yet!